Last week, we talked about organ donation, focusing primarily on deceased donors. Most organ and tissue donations do occur after the donor has died. However, some organs and tissues can be donated while the donor is alive. This week, I wanted to talk more about the living donation process. 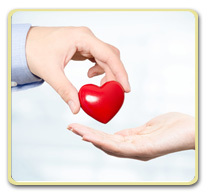 Organ donations from living donors accounts for about 4 out of every 10 donations. Most living donations occur among family members or between close friends. Some people become altruistic living donors by making the choice to donate to someone they don't know at all. In 2018, there were approximately 6,800 organ donations from living donors. What organs or tissues can be donated by a living donor? One of two kidneys - The most frequently donated organ from a living donor. One of two lobes of the liver - Cells in the remaining lobe of the donor's liver, and the donated lobe within the recipient, grow or regenerate until the liver is almost its original size. One lung or part of a lung, part of a pancreas, or part of the intestines - These organs do not regenerate, but the donated portion and the donor's remaining portion can fully function. Both blood and bone marrow can be easily replaced by your body, and both can be donated more than once for that reason. Routine blood donation can be done as often as every 8 weeks. What impacts the decision to donate an organ? Living organ donors should be physically fit, in good health, between ages 18-60, and should not have (or have had) diabetes, cancer, high blood pressure, kidney disease, or heart disease. There are risks involved with living organ donation, some donations involve more risk than others. When making the decision about becoming a living donor, that risk should be weighed against the benefit of saving the recipient, who may be a loved one. There may also be a financial concern, because surgery to remove a kidney requires time off work, sometimes with delays due to unforeseen problems related to that surgery. The National Institutes of Health (NIH) is conducting a study to collect information on the outcomes of living donors over time. Currently, the evidence indicates that living donors, on average, have done very well over the long term. However, the long term effects are not completely known at this time. What about bone marrow donation? Bone marrow donation is a surgical procedure that takes place in a hospital operating room, under anesthesia. Doctors use needles to withdraw liquid bone marrow from the back of your pelvic bone. The hospital stay is typically less than a day, but occasionally overnight for observation. There are few risks, but side effects are fairly common. They include back or pelvic pain and fatigue. The side effects are generally well-tolerated. The median time to recover fully is 20 days. Blood donation, as well as donation of platelets or plasma, carries very little risk. The process is an easy one, and generally takes very little time. If you are healthy, this can be a very nice way to give back to your community. It is very rewarding to know that you are helping others in this way. If you have questions about becoming a living donor or just want to learn more, you can use this link to find more information https://www.organdonor.gov/about/process/living-donation.html or log into your account and send us your question. We are here to help. Organ donation is the process of providing an organ, part of an organ, or multiple organs to transplant into one or more people. Organ donors can be living or deceased. This is such an important program, for so many people, that I thought this would be a good topic for our discussion this week. Today we will focus on deceased donor donation. Next week, we can talk about becoming a living donor. First let's go over some basic organ donation statistics. Every 10 minutes, another person is added to the transplant waiting list in the U.S.
What can be donated by a deceased donor? How does deceased donor organ donation work? Register as a donor – The first step in becoming an organ donor is to register as a donor in your state. You can register online or in person where you get your driver's license. Registration usually happens many years before donation. When a person comes to the hospital with a condition that will allow organ donation, such as a car accident, severe head trauma, or a brain aneurysm, whether or not they are a registered organ donor is not considered in the health care decisions that are made. Every effort is made to save that patient's life. Brain Death Testing – If the patient dies, they will be kept on life support while a series of tests are done to determine if brain death has occurred. A patient who is brain dead is unable to breathe on their own, and cannot recover from brain death. Only after brain death has been confirmed, can organ donation become a possibility. The hospital will then notify the appropriate organ donation organizations, based on federal regulations, and the process can continue from there with the matching process, then the removal and transplant of organs to the recipient. Sometimes the organ must be transported long distances in order to reach the matched recipient. Minutes count in this process! What can you do to save more lives? Register in your state as an organ donor. Let your family know that you want to be an organ donor, so they know when the time comes. Talk to your family and friends and encourage them to become donors as well. For more information about organ donation, follow this link. If you have any questions about organ donation, please log into your account and send us your question. We are here to help. Let's continue the series on hepatitis this week with a discussion of hepatitis C. Hepatitis C is another viral infection that leads to inflammation of the liver. The symptoms of hepatitis C are the same as those discussed in my previous Health Tip on hepatitis. Hepatitis C can cause an acute or chronic infection. Chronic hepatitis C can lead to serious liver damage. Unlike hepatitis A and B, there is no vaccine for prevention of hepatitis C, but there are good treatments available. Hepatitis C is spread through contact with the blood of a person infected with hepatitis C. It is not spread through casual contact with an infected person, such as working in the same office. It is not spread through kissing an infected person, nor is it spread through contaminated food or water. Although this virus can be spread through sexual contact, the risk of sexual transmission is thought to be low. What are the risk factors for hepatitis C? Being a health care worker exposed to infected blood, including accidental needle sticks. Having a history of illicit drug use, including injection or inhaled drug use. Hepatitis C is a serious infection. Although the acute phase of hepatitis C infection may cause only mild symptoms of hepatitis, which some people do not even recognize, most people infected with hepatitis C will go on to develop a chronic infection. Only about 15-25% of people will be able to clear the hepatitis C virus from their body without treatment. Between 75-85% of people will develop a chronic infection, which can lead to severe and progressive liver damage. According to statistics from the CDC, in 2016, there were an estimated 2.4 million people living with chronic hepatitis C in the US. Because so many people with acute hepatitis C don't have symptoms, it is difficult to know how many acute cases there are, because acute cases are frequently not diagnosed. The CDC estimates that there were almost 41,200 cases of acute hepatitis C infection in 2016. What are the long-term complications of hepatitis C? Cirrhosis - A condition in which scar tissue replaces healthy liver tissue. The risk of developing cirrhosis from hepatitis C is more likely if you are male, age 50 years and older, drink alcohol, have non-alcoholic fatty liver disease, have a coinfection with hepatitis B or HIV, or take immunosuppressive drugs. Liver failure - As cirrhosis progresses over months to years, the function of the liver declines and the liver can no longer perform the important functions that we talked about in the first Health Tip in this series. The scar tissue can also block the blood flow through the liver, leading to many other serious problems. Liver cancer - Hepatitis C infection with cirrhosis increases your risk of liver cancer. 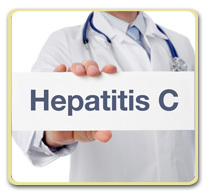 If you are diagnosed with an acute hepatitis C infection, there is no recommended treatment. You should be followed by your doctor to determine if your body is able to clear the infection. Treatment is only recommended if the infection becomes a chronic infection. There are now several medications available for the treatment of chronic hepatitis C. The treatment has improved significantly over the past 20 years regarding length of treatment, side effects, and cure rates. Current treatments usually involve taking oral medication for 8-12 weeks. This results in a cure for over 90% of patients with very few side effects. Chronic liver disease can be avoided if treatment occurs prior to the onset of liver damage. Follow this link to see a complete list of currently approved treatments of hepatitis C http://www.hepatitisc.uw.edu/page/treatment/drugs. The US Preventive Services Task Force recommends screening for hepatitis C infection in persons at high risk for infection (including the risk factors above). The USPSTF also recommends offering one-time screening for adults born between 1945 and 1965 (the age group with the highest incidence of hepatitis C infection). For more information about hepatitis C, follow this link https://www.cdc.gov/hepatitis/hcv/cfaq.htm. If you have any questions about Hepatitis C, please log into your account and send us your question. We are here to help.